Tredyffrin’s Planning Commission has a full agenda for their first meeting of 2016 tonight (7 PM, Tredyffrin Township building). The list of Items include a preliminary/final development application for the redevelopment and expansion of the long vacant Paoli Diner (Dany’s Diner, Pizzeria Uno) property as a Nemours medical office. Developers will present a subdivision application to consolidate four lots on East Conestoga Road in Wayne to create one new parcel. The proposed land development plan on the property is the construction of Brightview Senior Living, a five-story building with 156 beds. The four properties (293, 301, 309 and 319) are located behind Toppers Spa, across from Nudy’s Restaurant. That section of East Conestoga Ave. angling off of Lancaster Ave. is narrow, congested and difficult to maneuver – this proposed plan is going to need road improvement/driver visibility requirements. The last item in front of the Planning Commissioners tonight has personal interest – a land development application to demolish a building a construct a CVS Pharmacy and drive-thru. Summit Realty Advisors will present a plan for the 1-1/2 acre property located at 625/629 East Lancaster Ave. in Wayne. This property is located on the corner of Old Eagle School Road and Lancaster Ave – the Paddock Restaurant (previously John Harvards Brew House) property. I have no issue with the redevelopment of this property, including the demolition of the ‘new addition’ located at 629 Lancaster, which housed the Paddock Restaurant. But … I have a real problem with demolition of 625 East Lancaster Ave, the historic building that currently houses Thos. Moser Furniture. 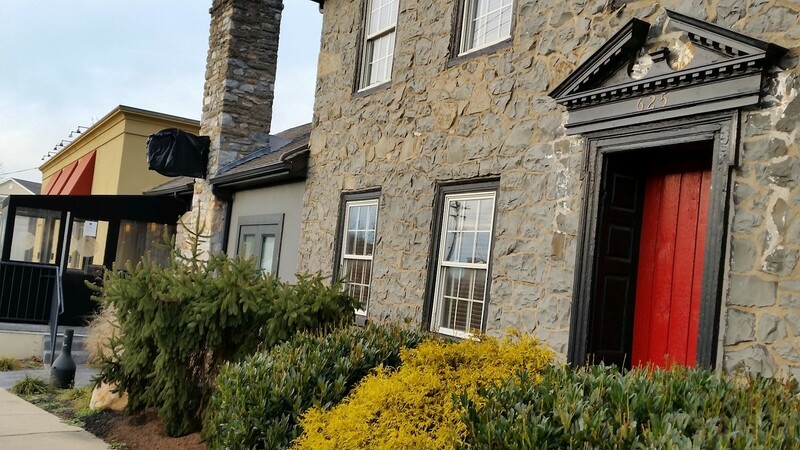 According to Tredyffrin Township’s 2003 Historic Resource Survey, the building was built about 1780 as a private resident. John Palmer owned a farm which included this structure in 1873, indicated on the 1881 atlas map. The structure was enlarged during the 20th century and was known as the Covered Wagon Inn. Well-known on the Main Line for fine dining and dancing, in its heyday the Covered Wagon Inn featured big name bands and performing artists such as Count Basie and Duke Ellington and their orchestras. Last fall, I had a discussion with a township planning commissioner about this property and the possible redevelopment project. At the time, I stated that I could support the redevelopment (At that point, I did not know the specifics of a CVS drive-through plan) of the property with if the historic building was saved and incorporated into the project. I stopped by Thos. Moser, showroom for the handmade American furniture company and current tenant of the historic building. The building is beautifully restored and maintained, making it the perfect backdrop for Thos. Moser furniture! The landlord has told the staff that the property is in the process of redevelopment and that they should look to relocate. Their lease is up in September. The interesting part of the conversation was that the Thos. Moser staff told that because the building was ‘historic, it was protected’. 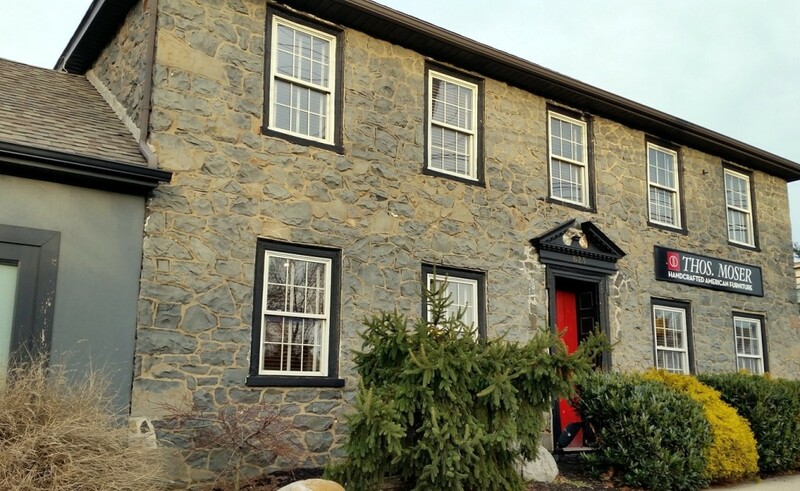 Unfortunately, in Tredyffrin Township, we know that our historic buildings are not protected. Although I explained that a demolition application for the building was in front of the Tredyffrin Township Planning Commissioners tonight, it was clear that that they didn’t think it possible! In a review of the Summit Realty Advisors website, there are many, many CVS Pharmacy development projects, including a similar current project in Media. However, in the midst of their drug store building portfolio, I discovered a very special project by John Zaharchuk, owner/developer with Summit Realty Advisors. 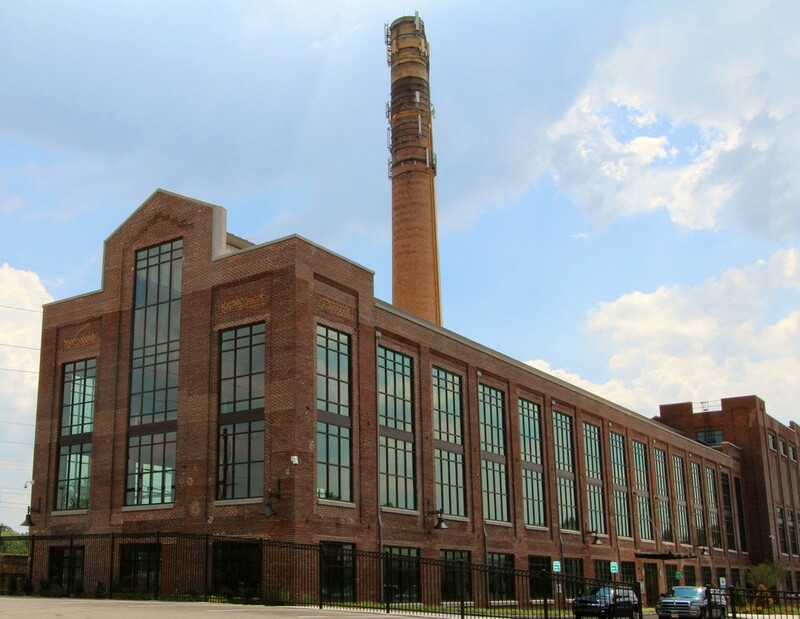 Zaharchuk oversaw the redevelopment of Ambler Boiler House, the 19th century power plant of an abandoned asbestos factory. Working with historic architectural firm, Heckendorn-Shiles (a former historic house tour sponsor) of Wayne, the project redesigned the circa 1897 brick building, preserving its architectural integrity and recycled it into a clean-and-green office development. Mr. Zarachuk, your adaptive reuse of a landmark industrial building as a unique and distinctive office space was a stunning achievement for historic redevelopment in the Ambler community! As you did with Ambler Boiler House, could you use your vision to save the 250 year-old Covered Wagon Inn in Strafford. Please say no to its demolition.